Dubai: As the world marks Purple Day on March 26, a pioneering technique called Laser Thermal Ablation which is capable of stopping reoccurrence of seizures has helped infuse fresh hope among patients. Purple Day is an international grass roots effort dedicated to increasing awareness about epilepsy, one of the most common chronic neurological disorders that results in recurring seizures in an individual. According to the Epilepsy Foundation, over 65 million people suffer from this debilitating condition, with one in 200 children being affected. Using a state-of the-art laser, abnormal tissue is destroyed with heat — directly targeted at the lesion. Real time imaging, provided by the new intra-operative MRI at GOSH, allows the surgeon to see the lesion caused by the laser as it is occurring and thus protect surrounding healthy tissue as the surgeon is able to turn off the laser when the MRI demonstrates that the correct lesion size has been made. The treatment introduced at GOSH is available to international patients as well. Can laser ablation cure epilepsy? 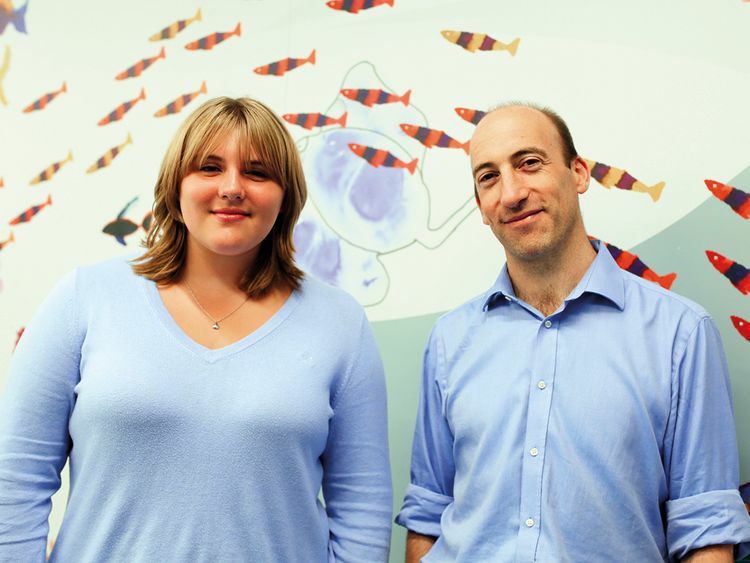 Chiara Falls, 16, came to the Children’s Epilepsy Surgery Service at GOSH with her family to be treated for a brain tumour in the left hemisphere of her brain that triggered seizures. “Chiara was investigated with video EEG telemetry and after a review with the epilepsy team, we felt that the best chance of curing her seizures was to surgically resect her tumour. Considering Chiara is a keen musician and sportswomen, the proximity of the tumour to the motor right leg and foot area of the brain made the surgery high risk,” explained Dr Tisdall. During Chiara’s surgery, Dr Tisdall used several technologies to reduce the risks to her motor functions. Purple Day is an international grass-roots effort dedicated to increasing awareness about epilepsy, one of the most common chronic neurological disorders that results in recurring seizures in an individual. On March 26, people worldwide are invited to wear purple and host events in support of epilepsy awareness.